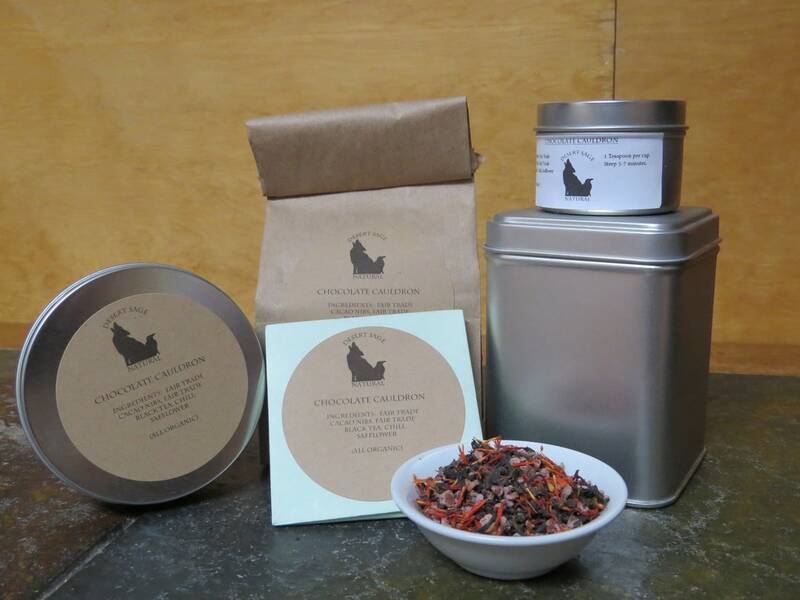 Chocolate Cauldron is another one of our “give back a lost taste” teas. My mom had commented on missing a tea that their local tea shop could no longer find. It was based loosely around the concept of a mole – chocolate and chili. We already had ‘Hello Sweetie‘ as one of our standard teas, so we had her try that. Which led to the amazing discovery that there was actually a chai in the world that she enjoyed. However, it wasn’t quite right, and the chai spices leavened the hot more than she wanted. This led to some thinking, and eventually to some fiddling. Our second test blending created the right tea, and Chocolate Cauldron was born. As with almost all of our tasty teas, Chocolate Cauldron’s ingredients do offer some health benefits. To start, there are the basic benefits of any tea. Black tea gives you fewer antioxidants and more tannins than a green, but it still has enough to give your system a bit of a boost. Chocolate, Chili, and Safflower all contain compounds that assist with heart health, and any spice with heat can act as a mild pain-killer. There is a special sort of happiness that comes when we are able to create something that gives back a lost tea experience. We are fairly proud of this one. * The LatchTin is a separate listing on Etsy. It holds 2 and a half standard batches of the tea – approximately 85-100 cups. 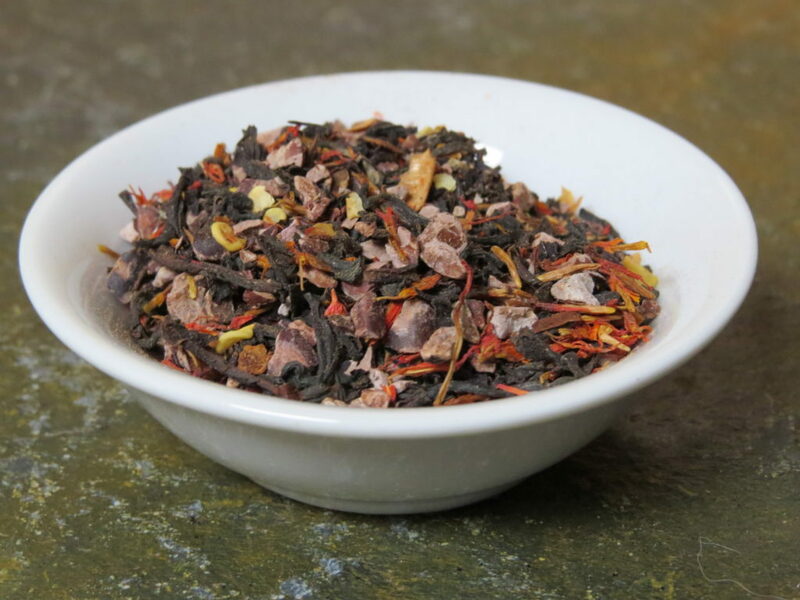 This entry was posted in Black Tea, Chocolate, Simply Tasty Teas, Spicy/Hot and tagged Chili Tea, Harry Potter Tea, Hot Tea, Organic Black Tea, Organic Chocolate Tea, Spicy Tea by DesertSage. Bookmark the permalink.